Puerto Rico, with its modern capital, clean beaches, and tropical climate, is an ideal destination for a Caribbean getaway. If you’ve been dreaming of a trip with these features, then a villa in Puerto Rico can turn your dreams into reality. The information contained under the tabs on this page will tell you more about the island and how you can plan an unforgettable vacation there. Camuy Cave Park, one of the Western Hemisphere's most extensive cave systems. 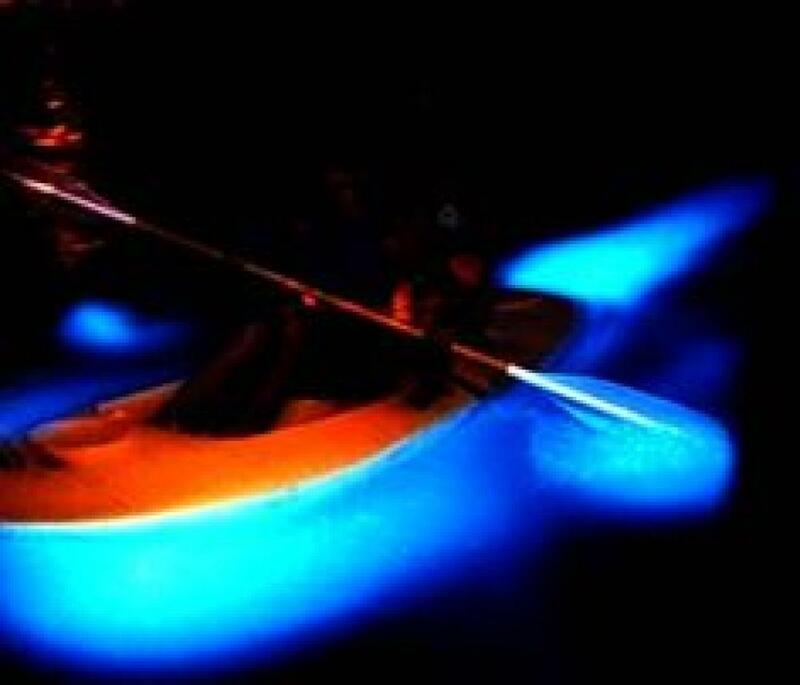 Kayak through a glow in the dark picture. It is incredible!!! Hidden along the Caribbean coast is one of the most spectacular Bioluminescent Bays or Phosphorescent Bays in the world. The mysterious blue-green light is created by micro-organisms (dinoflagellates) which thrive in an environment uniquely suited to their needs. A trip into the bay is a magical experience. Fish flash by in dark water, and as you glide through in your kayak, it's moving through a glow in the dark picture. It is incredible!!! 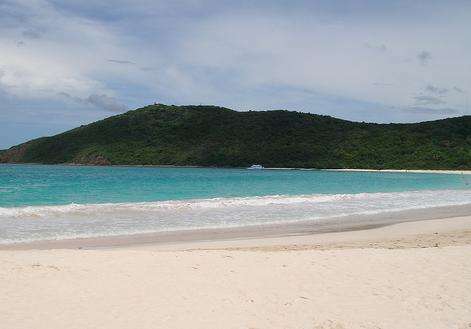 Culebra's rugged countryside, beautiful beaches and small-scale tourist industry make the 25-square-mile island a Caribbean treasure for travelers. At only 7 miles long by 3.5 miles wide, it is no wonder it's also called "Isla Chiquita". There is no run-off from streams and rivers, so the water is crystal clear and great for snorkeling coral reefs and swimming with a variety of sea creatures. This is one of only two nesting sites for giant sea turtles in the U.S. Culebra has 23 offshore islands which form a miniature archipelago. Coral reefs in this area are considered some of the most spectacular of the entire Caribbean. In 1909 a bird refuge was established here and is protected by the U.S. Fish and Wildlife Service as a nature preserve. To get here from Puerto Rico, take a private boat or quick flight 17-miles off the eastern coast. Hop on the tram and explore Río Camuy Park's great subterranean caverns carved out by the Camuy River over one million years ago. 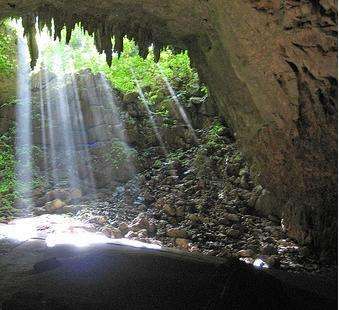 Rio Camuy Cave Park is the third-largest underground cave system in the world. Inside the incredible 268-acre park a guide will provide information on tropical surroundings and the caverns. There are also picnic areas, walking trails, food facilities, an exhibition hall and a souvenir shop, making it the perfect place to spend the day. Reservations are recommended. The park is open Wednesdays through Sundays (and holidays) 8am to 4pm. Advanced cave explorers can arrange for special tours and rappelling trips through undeveloped sections of the caves. Getting to Puerto Rico and getting around. Our transportation tips will help make your trip smoother. More good sand advice. U.S. citizens do not need passports but citizens of other countries need a visa. U.S. citizens do not even need to clear customs when entering. On the right - valid driver's license required. Vacationers don’t just stay in Puerto Rico villas - they come to paradise to get married and celebrate their honeymoons! Visit the Dept. of Health in Santurce to pick up a marriage application or request one in writing(allow two months). Write to the Dept. of Health, Demographic Registry Office, Box 11854, Fernandez Juncos Station, Santurce, PR 00910. Before making their way to Puerto Rico villas, vacationers like to know a little bit of helpful information to make them feel more at home during their stay. Take a look at our travel tips to make your time in villas in Puerto Rico even more relaxing. 110 miles long and 35 miles wide; 3,515 square miles.